It’s hard to believe that we launched on 19th August 2015, therefore making today our six month anniversary. In that time we hope we’ve brightened up the airwaves in Portsmouth. We’d like to thank you for listening to the stations we broadcast on DAB digital radio to the Portsmouth area, and helping to make our services successful. We’d also like to thank each and everyone of our services for choosing to be on DAB digital radio in the Portsmouth area and our engineers. As things stand, our trial licence is only for nine months. However, we hope to hear an announcement soon about a longer term licensing regime. To ensure we continue the momentum we have built up, please let us and your favourite stations know that you enjoy listening to them on DAB digital radio and don’t forget to tell your friends too. 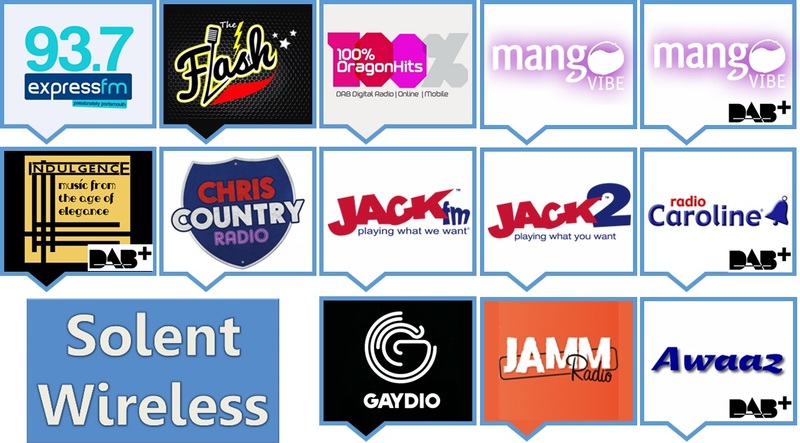 In addition to our existing services from 100% Hits, Chris Country, Express FM, The Flash, Gaydio, JACK Hampshire, JACK 2 Hampshire, JAMM Radio and Mango Vibe, a number of new services have commenced broadcasting on DAB digital radio to the Portsmouth area. The new services listed below are broadcast in a special format, known as DAB+. This means that radios that do not support DAB+ will be unable to find or listen to these services. As a guide, look for the DAB+ logo or green Digital Radio tick mark (above) to be certain of a radio that supports DAB+. Awaaz FM Community Radio is a Hampshire based Asian broadcaster catering for specific communities from India and Pakistan with music in Punjabi, Pushto, Urdo, Hindi and English. Indulgence has replaced ANGELxtra. 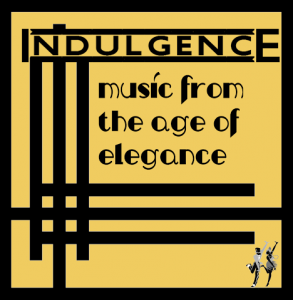 Indulgence celebrates the elegance and sophistication of the golden age of music and film. Bringing the elegance and gaiety of the 1920s, 30s and 40s to lovers of all things vintage. Indulgence plays the oldest records using the newest DAB+ technology. Mango Vibe + is a simulcast of the existing Mango Vibe service, but now available in DAB+ as well as standard DAB. Mango Vibe is the first service to be available in both DAB and DAB+ in the same area of the UK. They are interested to hear feedback from their listeners about their new DAB+ service. If you haven’t already done so, you’ll need to rescan your radio to listen to the services we are broadcasting to Portsmouth. To rescan your radio, most radio sets have an ‘Autotune’ or ‘Scan’ button, which you press to do this. If you don’t have such a button, you may find this option in the menu. 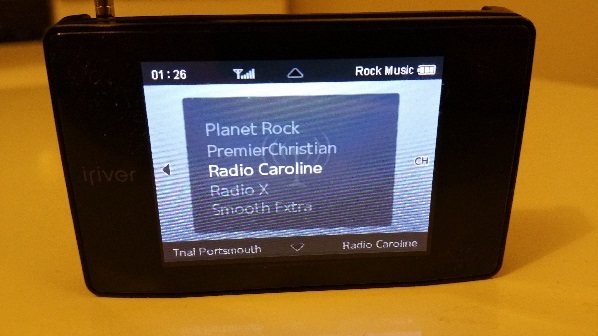 Older DAB digital radio sets (especially those manufactured before 2007) may require a ‘Full Autotune’ or a ‘Rest of World’ scan to find our services. To do this, simply hold down your Autotune or Scan button for 5 or 6 seconds. If this does not work please refer to the manual of your radio for further instructions.